Dark Pink Clusters of flowers attract butterflies and the seed heads attract birds for winter feeding. Desert Eve Yarrow is compact and easy to care for. 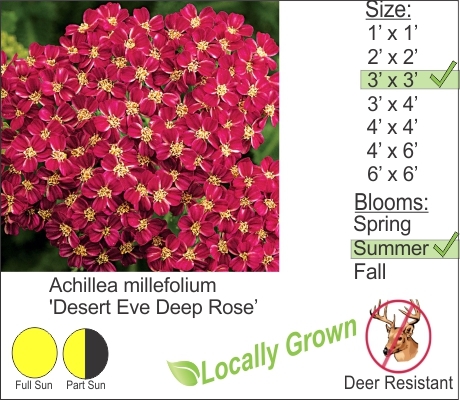 This deer resistant perennial thrives in full sun and can handle poor soil conditions. You can use this perennial for fresh cuttings in your flower vase or you can also dry the flowers for display in your home.